To the contrary, the first goal of the section pertaining to the West Side is “The City shall discourage non-residential and high-density residential encroachments into low density residential areas of this neighborhood planning area.” Yet given what’s been going on in the city’s historic African American neighborhood in recent years, West Siders and other fair-minded citizens might regard the Comprehensive Plan as a fanciful work of fiction. Currently, our Planning and Zoning Board is considering recommending changes to our Comprehensive Plan—requested by developer Dan Bellows and David Weekley Homes—to increase the allowed density in a one-block area between Denning and Capen Avenues on the West Side. They want to build townhouses that will cost between $400,000 and $600,000 in the shadows of a parking garage that Bellows built on Canton in 2007. Viewed in isolation, this doesn’t seem like cause for alarm. What’s the big deal about taking a relatively small plat of land and changing the zoning to allow 20-32 families to reside there rather than the current 8? And true enough, on land that abuts a parking garage, perhaps 3-story townhouses are more in scale than tiny, single-family dwellings. But in fact, it is a big deal. Because even if Bellows’ request is denied at the next Planning and Zoning meeting, it will be one miniscule victory for authenticity in a decades-long war being waged against the West Side—a war that the residents are losing. Keep in mind, the West Side residents didn’t want the hulking parking garage to begin with. Bellows’ argument to increase density in the neighborhood is the proverbial camel’s nose under the tent. The reality is that over the last 20 years, our P&Z board and City Commission have been caving in to this kind of skewed logic, and Winter Park has witnessed a slow creep of development that is decimating the historic value and residential scale of the West Side. A Winter Park Voice report, published earlier this week, offers an excellent synopsis of the issue at hand: http://www.winterparkvoice.com/ At best, the city’s policy—hovering between inaction and complicity—has been neglectful. At worst, it’s been heartless. The modus operandi of the West Side developers is deliberate and methodical: If we do this slowly enough, block by block, nibbling around the edges, maybe people won’t really notice that we’re systematically squeezing out the lower income residents and lining our pockets in the process. Like the frog who doesn’t realize he’s being cooked because of the gradual increase in the water temperature, Winter Parkers may not realize what’s happening to the historic West Side until all traces of authenticity have been expunged. Some will argue that the shops and restaurants along New England Avenue are an improvement to what was there before. We may enjoy dining alfresco at a Hannibal Square restaurant or shopping in a tony dress shop. But we’re fooling ourselves if we think that we’re not sacrificing the city’s diversity and historic authenticity for more upscale retail and condos. 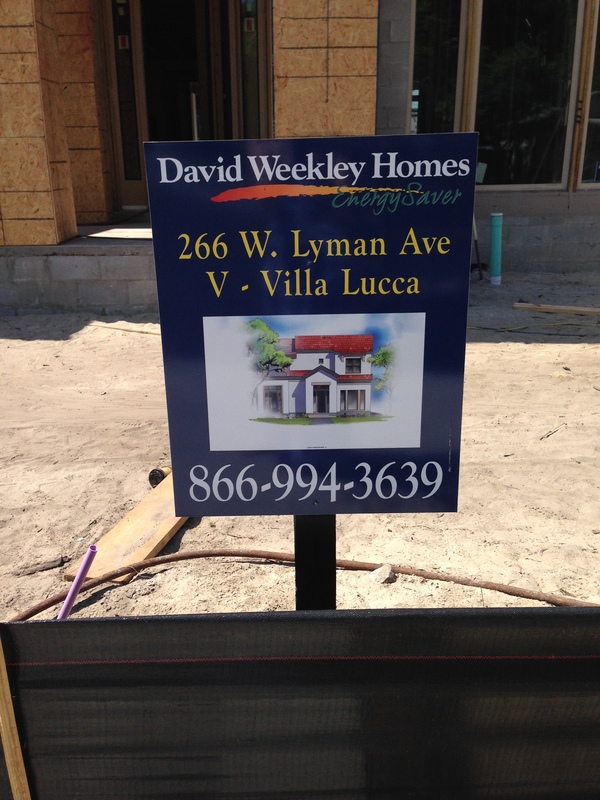 and this: now look across the street to see this: and this: “Villa Lucca” is one of a row of 8 similarly-named townhouses, like “Villa Trieste” and “Villa Vicenza.” Thank you, David Weekley, for giving us a taste of olde Italia right here in West Winter Park! On Hannibal Square, where there were once historic homes belonging to the original West Side settlers, we now have upscale spas offering $75 infrared facials and a shopping arcade called “The Plaza at Hannibal Square.” One wonders how much the easy availability of a $50 mani-pedi and an $18 bowl of bouillabaisse has improved the life of the average West Sider. Who does this kind of gentrification serve? 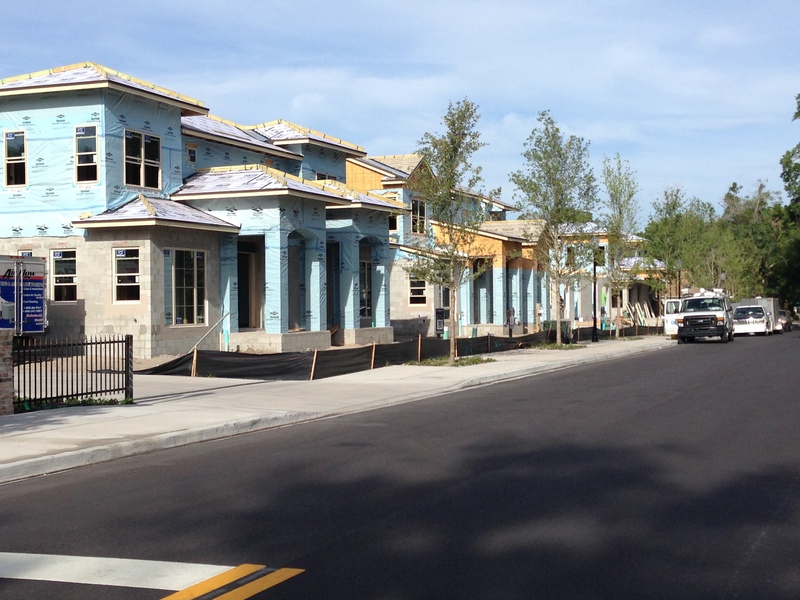 Well, clearly the developers stand to gain—folks like Dan Bellows and David Weekley Homes. And of course, the anti-regulatory crowd will argue that we all benefit from an increased tax base—the greater the value of the improved property, the more tax revenue it produces for the city. But this argument is short-sighted, and it’s wrong. Who loses when we allow the West Side to be paved over and ‘redeveloped,’ block by block? For starters, the residents whose small houses are now in the shadows of 4-story condo buildings and parking garages; who have to put up with increased traffic and noise; who rue the erosion of the neighborhood they call home—where they and their parents and their grandparents and their great-grandparents grew up, socialized, went to church, did business. Citizens of the West Side rightly do not see their land as a “product,” like the developers who want to upzone the neighborhood. Instead they see their neighborhood as a community. From a historical perspective, we all lose when an authentic neighborhood is ‘upzoned.’ The original residents of West Winter Park truly helped build the city, although their names aren’t on street signs like Charles H. Morse’s and Francis Knowles’. A future blog post will feature the historic West Side homes that have been lost, and the people who built them. For those who don’t know the history of the West Side, visit the Hannibal Square Heritage Center (http://www.hannibalsquareheritagecenter.org/aboutus.html), which tells the stories of the men and women who helped build Winter Park. Yet since the 2001 survey, more than 1/3 of the identified historic resources—or 24 homes–have been razed. About 100 less notable homes, yet components of the West Side community nonetheless, have been demolished. Winter Park has turned a deaf ear to the crack of the wrecking ball. In our city, does a home have to be designed by James Gamble Rogers for a scion of industry in order to be significant, and warrant protection? Translation: even folks who value things like ‘economic vitality’ and a ‘robust business community’ over historic preservation and cultural diversity have reason to abhor what’s been happening West of New York Avenue. 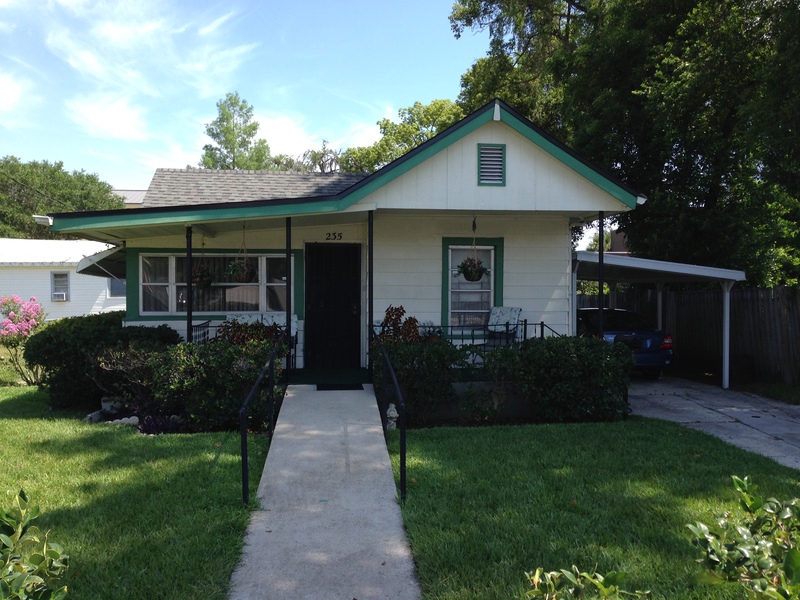 Indeed, the gradual erosion of the character of any of Winter Park’s distinct neighborhoods should be anathema not only to the citizens who developed the comprehensive plan, but to all the city’s residents. West Siders have voiced their opposition to the proposed change to the comprehensive plan to rezone and consolidate. To ignore their opposition is nothing short of arrogance. 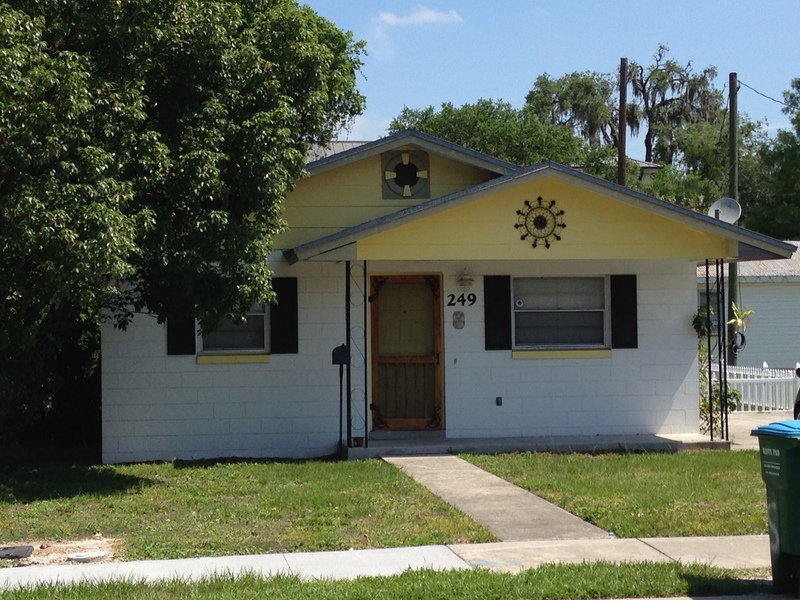 It’s time that all Winter Park residents–not just people of color–join in solidarity to challenge the systematic demolition and redevelopment of the city’s historic West Side.